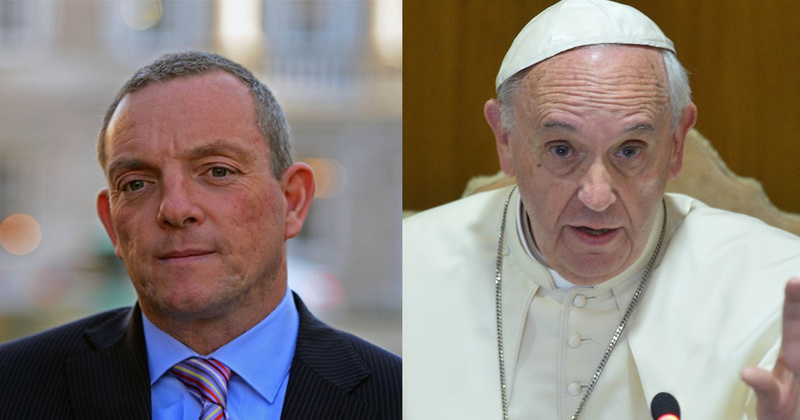 Fine Gael senator Jerry Buttimer has hit out at Pope Francis for saying that there is no room for gay clergy in the Catholic Church. News 4 December, 2018 . Written by Brian Dillon. Earlier this week, Pope Francis said that homosexuality in the clergy is a “serious matter” that “worries” him. Excerpts of an interview with Pope Francis, in which he makes it clear that LGBT+ priests, nuns and monks are not welcome in the Catholic Church, were published online on Saturday. Fine Gael Senator Jerry Buttimer, who is gay and studied for five years as a seminarian in Maynooth in the 1980s, has since expressed his disappointment at the comments, saying the Pope was adopting a “very hard line” approach to LGBT+ issues. “Being gay is not transient, it’s not a phase, it’s not a passing stage of one’s life – I’ve always made the point that, as a Christian, as a Catholic, I was born and being born in the image of the God who created me and the God that I pray to and worship,” the TD said. TD Jerry Buttimer at his wedding to his husband. Buttimer added, “For me, this is disappointing from Pope Francis whom I thought, given his initial statements that he would not judge people, would have travelled a journey of being more open, and understanding and accepting of LGBT people but obviously I was wrong. “The church would be a better church, a more enhanced church by having a ministry that is open to all and it just baffles that the Pope, on one level seems to be a welcoming man and then in the next breath shuts the door completely to members of the LGBT community. The Fine Gael politician also pointed out that it was “wrong and deeply unfair” to preach at gay priests about celibacy when it applies to all priests. 4 December, 2018 . Written by Brian Dillon.